I had a littli problem during installation. 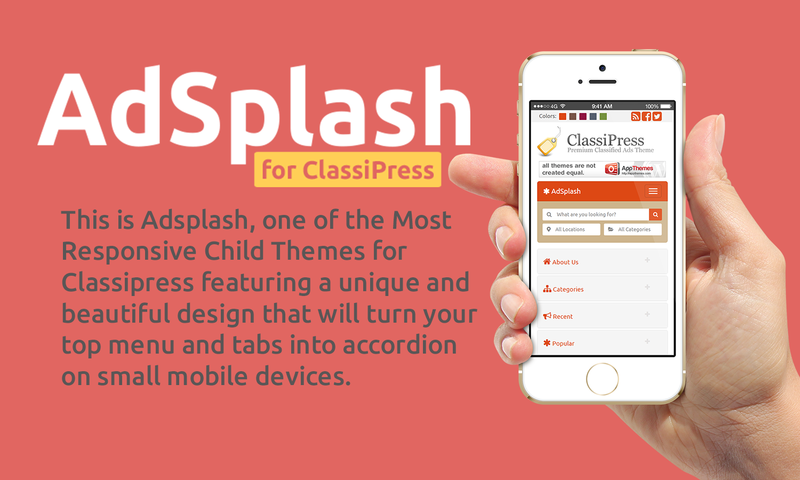 Are you sure you already have Classipress installed and you haven’t altered it? I sent you an email where you can send me more details of your problem. Malfunction at current Theme detected! Como fazer com o o sistema de classificação “sort” apareça quando realizado uma busca pela cidade? Can you please use the forum for support? 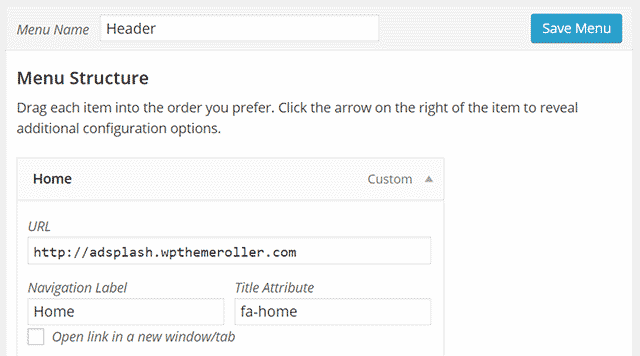 Sort and filter only works on the category pages. Seria uma dica, mas funcionar só na página de categorias é muito ruim, ou seja, quando alguém pesquisa pela cidade ou por uma palavra como exemplo “carro”, os anúncios filtrados não temos a opção de classificar. I just submitted this in your support forum, but then noticed someone submitted the same bug a week ago in the forum, so I’m not sure if the support forum is updated regularly. I determined that the field of mobile phone is not working properly. validation of a phone number does not work. to the phone number can be a numeric Woody only no text! How this problem can be solved? 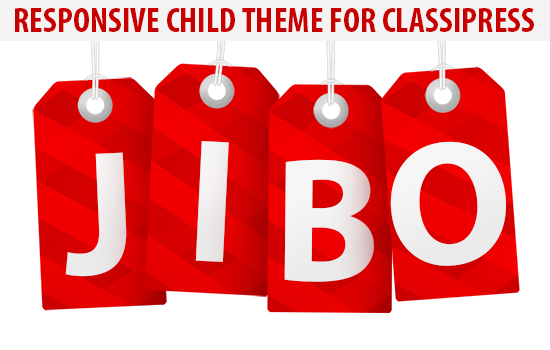 This template has a problem.A problem masking a phone input with jQuery and Masked. it is possible to change the homepage title ??? I tested it with seo plugins and much more, but i see in google search my domain and this text “ad listings” the name of the main site. How can i change this ? If i changed it from the page title, i dont see the ads on my homepage. 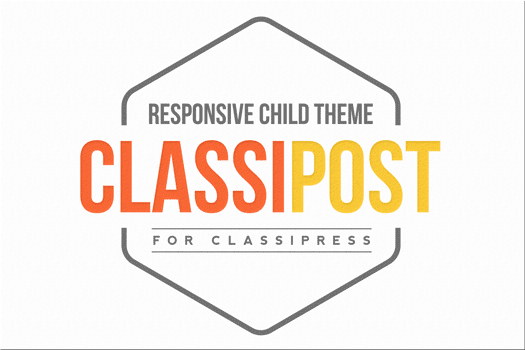 This is just a Child Theme for Classipress, such requests should be handled in core Classipress or external plugin. Hi Woo. 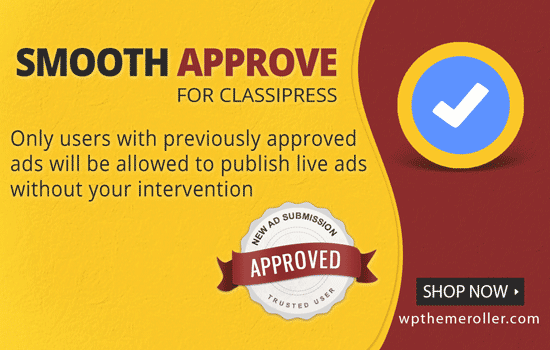 Yes, AdSplash is compatible with latest Classipress + WordPress but I cannot tell for sure about the plugins you mentioned as I haven’t tested them. If you already bought them, send them to me so I can test. Hi Ovidiu, thanks for your quick response, your email please. Is it possible to fix search city… once searched… any city..
we have to type city again and again wen we click another category..
On the tabs, when you choose the Location Tab, the map displays correctly but when you open other tabs then come back again to the location tab, the ad detail disappears and only the empty box with an X is showing. Same goes to your demo site. 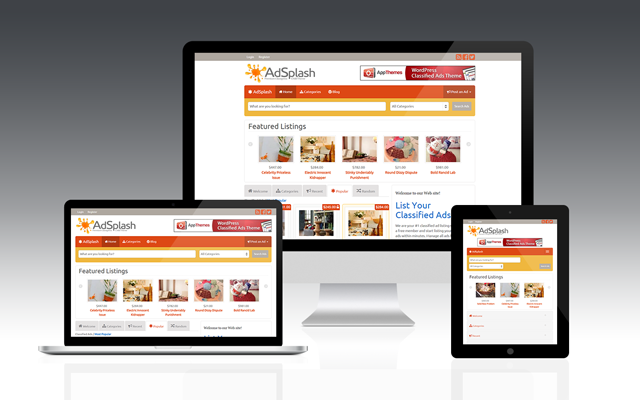 Since some days ago, the categories choos field not open anymore during the ad listing process. So the client cant made there Ads…! Can you tell me where ist the bug?